When we are discussing a crown for your tooth it will be because we need to consider improving the strength of your tooth and/or we want to enhance the appearence of your tooth. A crown is a covering made to go over a tooth. Cracked teeth, root canal treated teeth and heavily filled teeth are all weakened. Using a crown we can increase the strength of a tooth to give you more years of function. A crown is more complex and time consuming procedure than a simple filling for a tooth. We will explain the process for your particular teeth but if you have more questions please ask. There are many different types of crowns. Professional skill and experience mean the correct crown is available for your individual tooth requirements. Gold crowns: Advantages include a strong crown with similar hardness and wear property as a natural tooth. Tooth coloured crowns: for situations where color properties are the highest priority. Metal crowns - prefabricated: these are crowns adapted for deciduous(baby) teeth and are applied in a single visit. During any medical or dental or health treatments it is possible that unplanned complications can occur. After preparing a tooth for a crown it may feel tender as the anaesthetic wears off. If this discomfort persists for more than 24 hours please let us know. Sometimes a very slight variation to your 'bite' can cause ongoing pain. This may be simply relieved by making your restored tooth 'less high'. 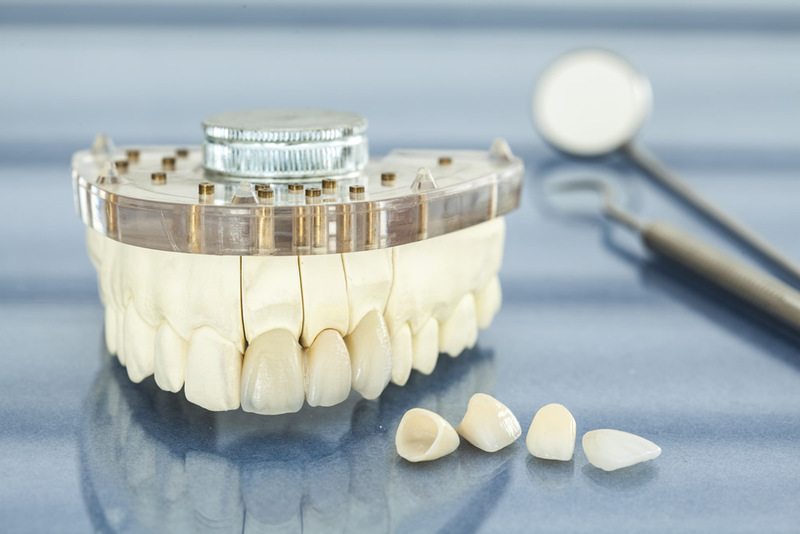 Usually teeth that are crowned have had large or deep fillings (restorations) within them. These teeth are more likely to require root canal treatment (endodontics). If pain persists after preparation for a crown or after a crown is put in place please let us know. The cost of root canal treatment will be additional to the cost of the crown. If your crown or temporary crown feels loose please let us know. When a crown is loose extensive decay of the remaining tooth can occur quite quickly. If the crown is loose we may be able to clean it and re-cement it into place. Being allergic to gold or porcelain would be very rare. Usually the metal used inside a metal/porcelain crown is a mixture of metals including gold. Sometimes non-precious metals are used in crowns. If you are allergic to any jewelry then please tell us BEFORE we do a crown so we can determine the material of least risk. Allergic response to crowns may take some time to be seen or may develop after a crown has been put in place. It may be seen with increased inflammation or the discoloration of the gingival tissue around the crowns only. Crowns are an investment in time and expensive technology and materials. We will let you know how much your crown will be before we start making the crown. Extra costs will generally occur if complications happen.